The round body of a microscopic nematode. In the first article of this series we discussed the how unpleasant the subject of worms were but how beneficial many species are to our environment. 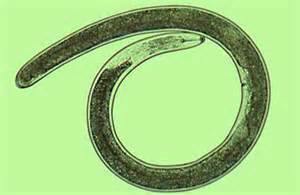 We highlighted the flatworms and this week we will look at the roundworms. There are a variety of round-shaped worms but the term “roundworm” is usually associated with the Phylum Nematoda; and more commonly called “nematodes”. There are over 10,000 species of nematodes on our planet and they are found in all habitats from the polar region to the tropics and even in deserts. They are found in freshwater and marine systems and are quite common in soils. Within an acre of land there could be literally billions of them. As the name suggests their bodies are round, not flat, and smooth, not segmented; which separates them from the other two groups we are writing about. Most are very small (< 2.5mm – 0.10”) but some may reach 5cm (2”). Most are carnivorous, some even consume fleas in your yard, but others graze on algae, and others detritus. Many species have a stylet (needle) they use to puncture the cell wall of their prey to consume the internal organic matter. They do not have a developed brain but they do have a series of nerves that run throughout their body. Most are connected to exterior structures associated with the sense of touch, such as setae. 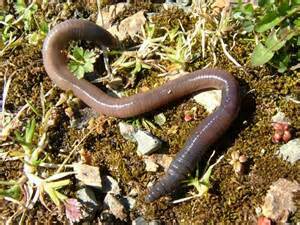 There are generally male and female worms in this group and the males are typically smaller in size. However hermaphroditism does exist. As with most groups of worms, it is the parasites that we really dislike – and there are plenty of parasitic nematodes. They infest a lot of different species. Some live on the outside of plants while others live on the inside. Some are parasitic only at the adult stage, some only as a juvenile, others begin within invertebrates and move to plants as adults. They typically exit one organism through the feces and infest another when the feces is consumed by another. The life cycle of the human hookworm. 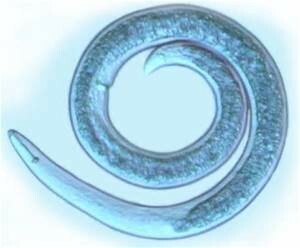 Many species of nematodes have a primary and secondary host life cycle, similar to the flatworms, but others complete the entire life cycle within one organism. Hookworms, a common nematode found in humans, enters the body and feeds on blood cells. The young larva live in the environment and can for a few days in good conditions. When they contact a human they penetrate the skin and move through the circulatory system to the lung. Here they burrow into the bronchioles (airway) and work themselves to the pharynx where they are swallowed by the host and eventually end in the intestine. Within the intestine they feed on blood cells within the intestinal wall. When they reproduce the eggs are released within the feces and enter the environment. If conditions within the environment are good the eggs will hatch and the cycle begins again. Pinworms and whipworms are also parasitic nematodes that infest humans. Though we dwell on the negative aspect of the parasitic nematodes many species are used indicators of soil health and can give farmers a better idea of the condition of their soil. Suggesting to them what to plant or what they need to do to condition their soil to plant a specific crop. Next week we will look at the most familiar of the worms – the segmented ones. The temperature might still be in the 90s but the kids are back in school and football season is starting soon; that means fall is coming and with it, the beginning of hunting season. 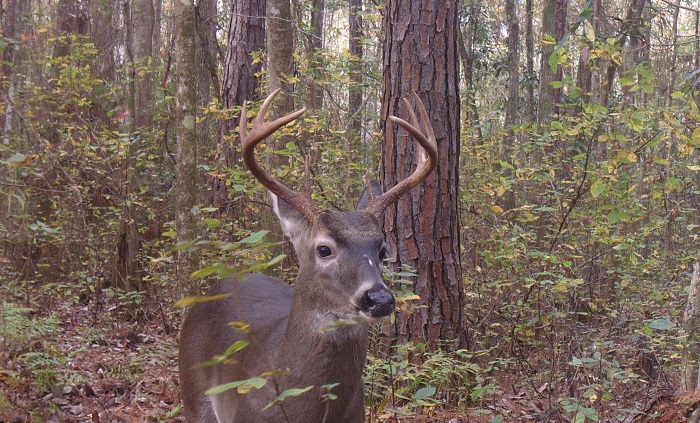 Here in northwest Florida archery season for deer and turkey begins October 24. While it might still be a little early to dust off your camouflage there are still plenty of things you can be doing this time of year to get ready for the start of hunting season. If plan to utilize food plots on your hunting property this fall it is time to take soil samples and if need be, apply lime. All plants have a soil pH range where they grow best. For many of the plants we commonly use in food plots the ideal range for soil pH is above that of our soils here in Florida. Applying lime to the soil will increase the soil pH, but it takes time; months not weeks. There are a variety of liming products available but the most economical option is generally bulk, agricultural or dolomitic lime. Ideally lime would be incorporated into the soil well before planting. A soil test will provide specific recommendations about how much lime and fertilizer your site needs. Your county extension agent can assist you in submitting a soil sample for analysis and interpreting the results and recommendations. Soil pH greatly effects soil nutrient availability; spending money on fertilizer without checking or correcting the pH is not advisable. It is still early to plant cool season food plots; planting should begin around October 1. It is not too early to begin researching what you want to plant and booking seed. If you are particular about what varieties you want to utilize (you should be) you should make arrangements with seed suppliers in advance. Always be sure to utilize crops and varieties that are well suited to your site. Be careful with premixes that are sold at chain stores. These products may not be well suited to our environment here in Florida. Contact your county agent and be on the lookout for future articles for more information on selecting the forage crops that are best suited to your area. 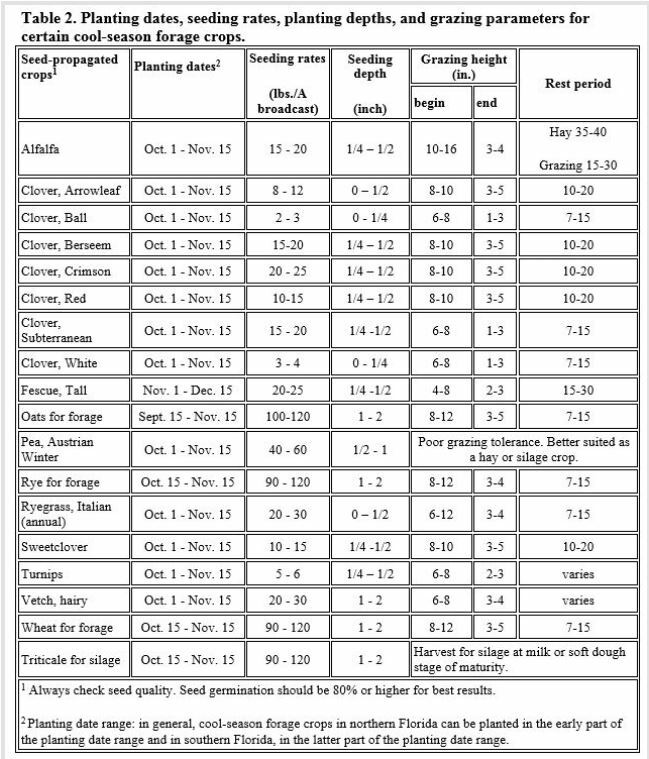 If you are planning on hunting over feed (corn, etc.) you should have already began your feeding program. To legally hunt over feed the feeding station must have been maintained with feed continuously for at least six months prior to harvest game in the vicinity. In other words, if you start feeding corn today (8/20) you can’t legally hunt over it until February 20th. 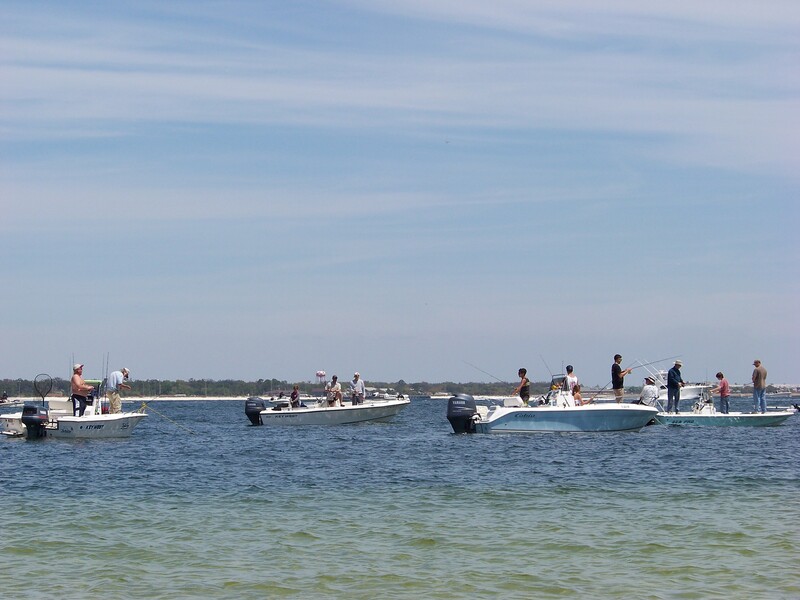 For more information regarding hunting over feed see the FWC webpage. Using game cameras to monitor your property can help you get an idea about the quantity and quality of animals utilizing your property. Having this information before hunting season can help you plan management decisions in advance. Preseason scouting, on foot or with game cameras can also help you determine what parts of your property game are utilizing the most. Granted, there is still plenty of time for patterns to change before hunting season gets here. Another positive aspect of utilizing game cameras this time of year is that they give you an added excuse to spend a little extra time in the woods. In the months leading up to hunting season going to “check cameras” is somewhat of a Sunday afternoon tradition in my house. Long summer days give you plenty of time in the evenings to practice shooting your bow. Proficiency with a bow takes practice and repetition. I was once told, “Don’t practice until you can hit what you’re aiming at, practice until you can’t miss”. Practice now, don’t wait until you miss, or worse, wound an animal to realize you needed to improve your skills. In addition to working on your skills for hunting season, archery can be great outdoor fun for the entire family. There are a lot of hot days to wait through still ahead of us but hunting season is coming; if you’re like me you’ll be happy to see it when it gets here. Now is the time to make plans and preparations so when the waiting is finally over you’ll be able to have your best season yet. I am afraid worms are not the most pleasant topic to write about but few people know much about them. I was once told when I was a student that if you wanted to become known as a scientist study worms, no one else is. When we hear the term “worm” negative things enter our minds: parasites, disease, uncleanliness to name a few, but many worms are actually beneficial by removing detritus (decaying organic matter) from the environment; the garbage cleaners in a sense. There are at least 10 phyla of worms but this series will focus on the three major groups; flatworms, roundworms, and segmented worms. The human liver fluke. One of the trematod flatworms that are parasitic. Flatworms include three classes and two of those are parasitic; those are the flukes and tapeworms. Most are very small and emerge in low or no light. The parasitic forms typically live in the gut but can infest other organs of their host organism. There are several species that infest humans but most are specific to a particular group of animals. The flatness of their bodies may have to do with moving materials in and out of the body. 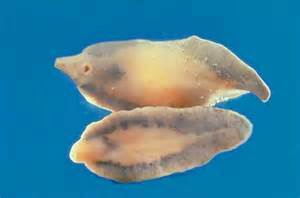 Most flatworms lack well develop organ systems so gas exchange occurs through the skin. The more the flat they are, the more surface area they have, the more gas exchange can occur. This is supported by the fact that the larger the flatworm is the more flat they are. Tubellarians are basically non-parasitic flatworms and are mostly aquatic, many living in the marine environment. Some crawl across the seabed but others can actually swim. As with other flatworms, their digestive tract is incomplete (meaning there is only one opening – the mouth – where food comes in and waste goes out), and this mouth is located half way down their body on the ventral side. Most of these flatworms are carnivorous feeding on small invertebrates and dead organisms. They do have “eyespots” which do not form images but can detect light. Most flatworms are what we call “negatively phototaxic” meaning they sense light but do not like it and will burrow or hide when the sun rises. Trematoda are what we call flukes and are parasitic. Most are only a few centimeters long but some can reach a meter (3ft.) or more! Flukes have a protective covering on their skin to protect them from the enzymes of their host’s internal environment. Their life cycle requires a second host, meaning that the adult lives in one type of animal but the larval stage occurs in another. Adult flukes live in vertebrates (typically fish), and the secondary hosts are usually invertebrates (typically snails). The eggs (cyst) produced by the adults leave the host organism through their feces. Once in the environment the secondary host consumes them where the larva develop. Eventually the secondary host is consumed by the primary host (fish) where the larva develop into an adult and the cycle begins again. They typically infest the gut but can infest other organs as well. A tapeworm actually has a round head which posses hooks to attach to the lining of the gut. Cestods are one of the more recognized flatworms; these are the tapeworms. Tapeworms lack a digestive tract and most absorb all of their nutrients on through their flat bodies. 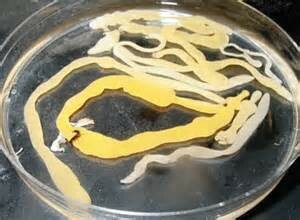 Like their fluke cousins, tapeworms are endoparasites but almost all of them infest the digestive tract. Like their fluke cousins they require a secondary host, usually an arthropod (insect, spider, or crustacean). With a vertebrate serving as the host organism. 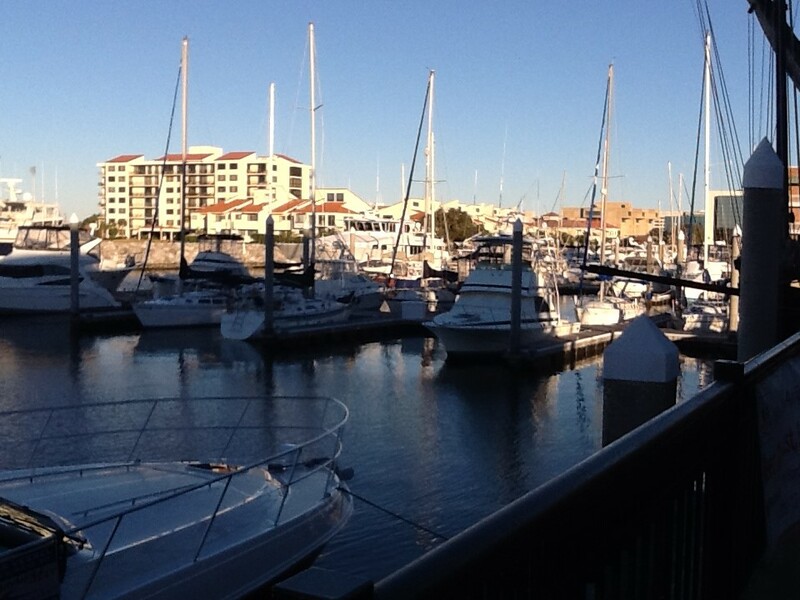 Though there are flukes and tapeworms that infest humans most are found in fish and are specific to that group. The ones that do infest humans require the secondary host cycle described above and, because of sanitary conditions we live in, are not commonly found in the population. This cannot be said for parts of the world where sanitary conditions are not to our standards. As horrible as parasites sound many species of nonparasitic flatworms are beneficial by removing detritus from lakes, rivers, and bays. With great interest I read this week that the Orianne Center for Indigo Conservation in central Florida has begun a project to reintroduce the federally listed Eastern Indigo Snake (Drymarchon corais cooper) to the Florida Panhandle; where there have been no verified sightings since the late ‘90s. 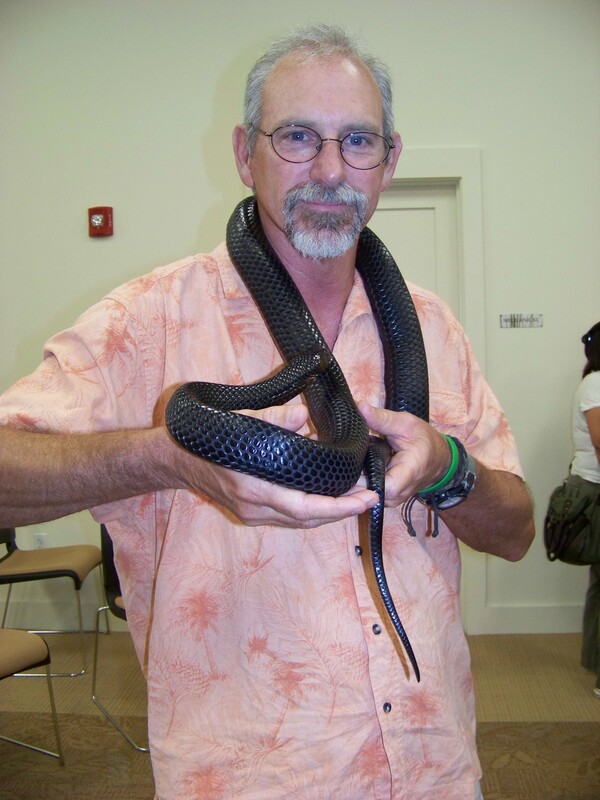 The eastern indigo snake is the largest nonvenomous snake in the southeast. The Eastern Indigo is the largest nonvenomous snake in the southeast, reaching lengths of eight feet. They prefer sandhills and dry upland areas such longleaf pine forest. The males can patrol areas as large as 3000 acres and are associated with gopher tortoise burrows. Being large snakes they feed on a variety of animals including venomous rattlesnakes. The loss of habitat, along with the decline of gopher tortoises, triggered the decline of this species, and they are rarely seen in the western portions of the range. 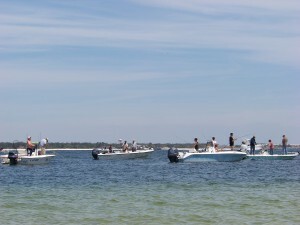 Indigos are most often found in southern Georgia and peninsular Florida, but sightings at these locations are not common. The Orianne Center is currently raising young Indigos for release in the Nature Conservancy’s Apalachicola Bluffs and Ravine Preserve. They are planning to release 20 snakes there and an additional 30 in the Conecuh National Forest to support a similar project that Auburn has been doing for the last four years. These snakes are pretty easy to identify. 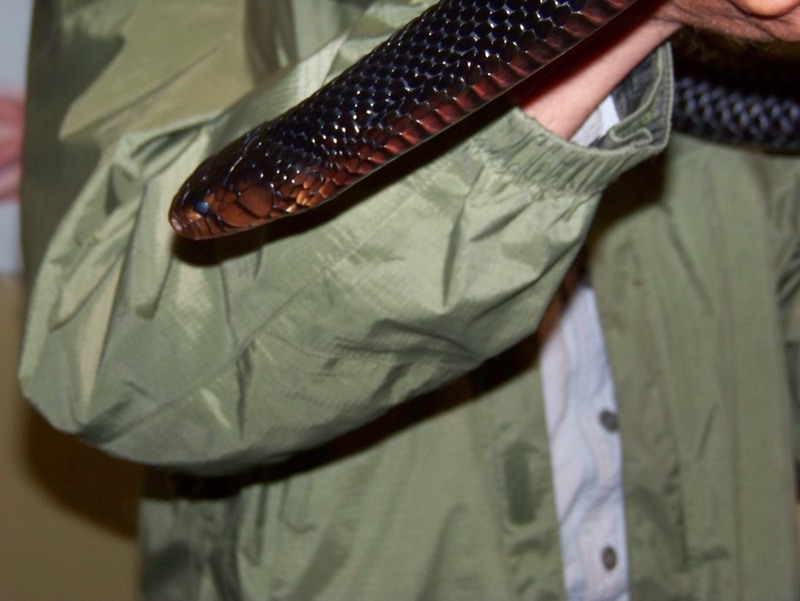 They are iridescent black, usually having an oily sheen appearance to them, with orange coloration on the lower jaw. 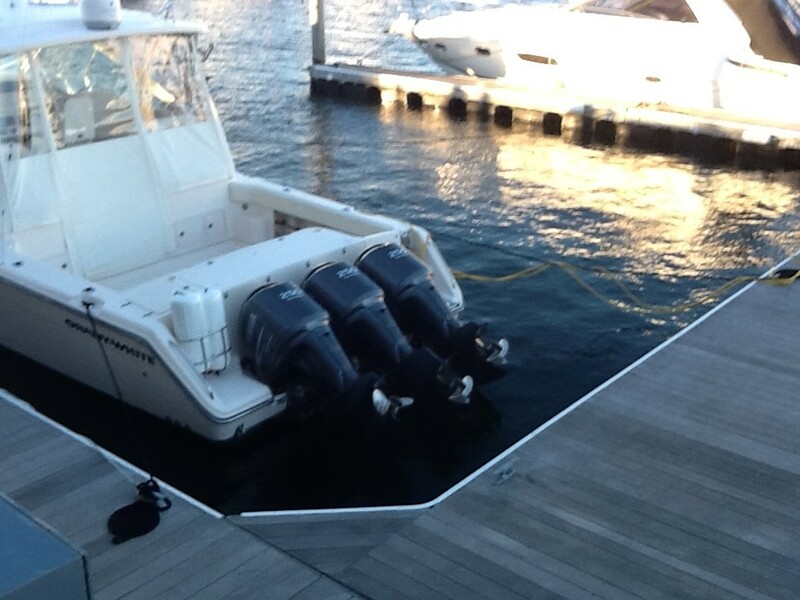 Oh… and they are big… 8 feet. We are hoping panhandle residents will not be alarmed if they encounter one and allow them to move along. During the last four years of Auburn’s project they have lost quite a few to cars and one visited a youth camp in the National Forest. Alarmed at first the residents soon learned that they were feeding on copperheads in the tool shed and have since loved having these snakes around.